Regular $40 in the US, $50 in Canada, $65 in other countries. Multiple year memberships are $2 less for subsequent years up to 5 total (Printable Membership Application). Regular Life Membership explanation and application. Atchison Group, dues listed above plus $100 or more, renewed annually. Click here to see a list of membership costs by location and class for from one to five years. Dues are payable in US funds. The Warbonnet is provided free to members of the Society. New Member’s Offer: All new members can purchase the Painting and Lettering Guide for $11 which usually sells for $31. A coupon will be inserted in the new members’ packet. Do not order the book through the website. Your subscription to The Warbonnet will begin with the issue current at the time of your enrollment and will run for four issues. The Warbonnet is mailed third class to Regular Members, first class to Sustaining Members and to foreign destinations. Regular members receive the Society’s quarterly magazine, The Warbonnet, the quarterly newsletter, Running Extra, and receive a 20% discount on most Society publications and offerings. 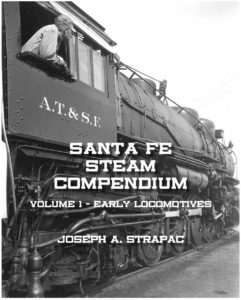 They also receive access to the Members’ Only area of the website, which contains hundreds of documents about the Santa Fe. Sustaining members are an important part of the Society. 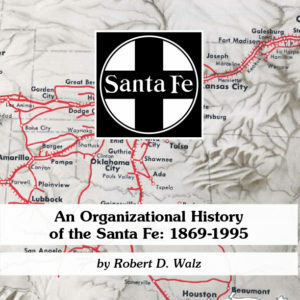 First, we take $7.50 from the extra $20 and apply it to the Society’s Endowment Fund, which will, over time, take some of the burden of The Warbonnet and Society administration off of our regular dues structure, helping us make information about the Santa Fe available to more folks at a reasonable cost. Second, we take another $7.50 from the extra $20 and apply it to the Society’s Project Fund, which is the fund that enables us to underwrite the costs of new books, new website initiatives, new products such as car sides, and finally new initiatives such as the Preservation Fund. The remaining $5 goes to the general revenues and helps offset the increased postage costs. Benefits for the Sustaining member are twofold: first, the satisfaction of helping the Society stay strong and ensuring its strength for the future; and second, receiving your Warbonnet by first class mail, which typically arrives more promptly than the bulk mailing and, hopefully, in an undamaged condition. The Atchison Group. The Atchison Group recognizes Society members and others who contribute more than $100 beyond membership during a calendar year for the benefit of the Society. 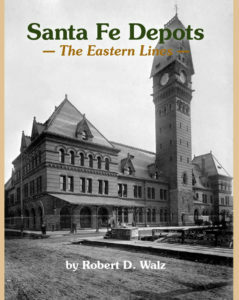 The name hearkens back to the contributions of the Santa Fe’s Boston-area financiers, whose sound financial management of the company in the early 20th Century earned “The Atchison” a solid reputation as a well run, dependable dividend producing stock. Modern day Atchison Group members contribute to the Society’s soundness by providing funds for the Society’s endowment, Project Funds and Lloyd E. Stagner Equipment Preservation Funds. Contributions are split 50% to the Endowment Fund and 50% to the Project Fund unless the contributor instructs the Society otherwise. All Atchison Group members receive a special commemorative pin and recognition in the Running Extra.